Malta may be one of the world’s smallest nations, but it is a giant in the online gambling industry. 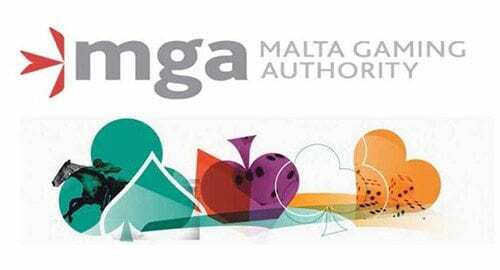 Hundreds of betting operators hold licences with the Malta Gaming Authority (MGA), which ranks among the most reputable interactive gambling regulators in Europe. Let us show you the ins and outs of sports betting, online casinos and gambling laws in Malta. Maltese punters can choose from dozens upon dozens of licensed sports betting sites. The bookmakers below are the best of the best when it comes to odds, market depth, customer service, online security and all-round quality. The best Maltese bookies have markets for just about everything, from athletics to yachting (name a popular sport beginning with ‘Z’, we dare you). Open the tabs below to find out more. While betting on ball sports is becoming more and more popular worldwide, horse racing remains the top drawer at online bookmakers everywhere. Maltese betting sites run a wide range of markets for thoroughbred and harness racing from all over the globe, including the major tracks in the UK, the US, France, Australia, Hong Kong and Japan. Beyond racing, association football boasts the most vibrant betting culture of any sport. The best soccer betting sites have markets for just about every professional division and international tournament on the planet, including the English Premier League, La Liga, Serie A, the UEFA Champions League and the FIFA World Cup. Between the grand slams, the ATP Masters series, international team events and the development tours, professional tennis offers some of the most diverse betting options of any sport. You can find tennis odds and futures markets all year round, but the biggest action occurs during the Australian Open, the French Open, Wimbledon and the US Open. As with tennis, golf betting revolves around four major tournaments each year: the US Masters, the British Open, the US Open and the US PGA Championship. However, there are markets all year round for the PGA Tour and the FedEx Cup, the European and Asian tours, and feature events in Australia, New Zealand, South Africa and the rest of the world. Cricket and betting have not always been a good combination, but the scene continues to thrive despite a few bad eggs. Test series such as the Ashes draw massive money from all around the world, as does the ICC Cricket World Cup and other major tournament. T20 cricket is a big hit with punters, especially the Indian Premier League, the Big Bash League and the ICC World T20. The top flight of American sport is dominated by the ‘Big Four’ professional leagues: NFL football, NBA basketball, NHL ice hockey and MLB baseball. Each of these glamorous divisions comes with a wide array of match markets, prop bets and futures odds. Other sports with big betting scenes include the NCAA college championships and MLS soccer. As the administrative home of so many of the world’s biggest interactive gaming firms, Malta is spoilt for choice when it comes to real money casino sites. The trusted operators below carry an enormous range of games from industry-leading developers and meet the highest standards for security, fairness and quality. Internet casinos offer every gaming option you would expect to find in a land-based venue, and plenty more besides. Open the tabs below to find out more. Some real money casinos offer as many as 1000 different slot games, running the gamut from classic three-reel fruities to advanced five-reel video slots loaded with bonus features. You will also find a range of high-paying progressive jackpots games from leading developers such as Microgaming, NetEnt and Betsoft. This is one game where playing online can offer a massive advantage over visiting a land-based casino. Whereas double-zero roulette tables have become the norm at brick-and-mortar venues, single-zero roulette reigns supreme on the web. That means you get a lower house edge no matter how much you are betting. Most versions of real money online blackjack have a house edge of 0.50 per cent or less, which is hard to find at a regular casino in this day and age. You also get a great variety of game styles, ranging from single-deck blackjack to specialist variants such as pontoon and Spanish 21. Live dealer casinos combine the real-life feel of the gambling floor with the unrivalled convenience of playing online. Maltese casino sites offer multiple versions of live blackjack, live baccarat and live roulette, including VIP tables with big bet limits for the high rollers. The best Maltese bookmakers and casino sites support a range of fast, safe, easy-to-use payment methods for deposits and withdrawals. Tap the tabs below to find out more. All MGA-approved gambling sites support deposits with Visa, MasterCard, Maestro, EntroPay and most major card/debit card providers. Transactions are processed on the spot, so you can start betting straight away. Some people don’t like giving their credit card or bank details to online businesses, which is where e-wallets such as Skrill, Neteller and Paypal come in handy. Open a free account, load up some funds and then make instant deposits at your favourite online bookies and casinos. If you don’t own a credit/debit card and want an alternative to e-wallets, a number of online gambling sites support instant banking with trusted services such as Citadel Direct. This allows you to send money straight from your bank account without having to wait around for standard processing times. There are plenty of gamblers who want the convenience of online play without expanding their internet footprint more than necessary. You can buy Paysafecard vouchers from retailers all over Malta and use your unique code to spend money on the web without the need of a credit card, e-wallet, or instant banking. While online payment methods are often subject to daily transaction limits, money wires and bank transfers allow you to move large sums at a time with minimal fuss. Deposits can take several business days to clear, but the guarantee of delivery makes this an excellent option for high-stakes gamblers. In 2004, Malta became the first EU nation to create a dedicated regulatory body for interactive gaming and wagering. By holding operators accountable and requiring them to pass rigorous security, anti-fraud and quality checks in order to obtain licences, one of the world’s smallest nations brought credibility to a booming industry that had always been viewed with suspicion. Now, hundreds upon hundreds of online bookmakers, casino sites, betting exchanges and software developers fall under the jurisdiction of the Malta Gaming Authority. The regulator’s reputation is such that it is whitelisted by the UK Gambling Commission, meaning all compliant operators with a full MGA licence can advertise their services in Britain. All this is very good news for residents of Malta who like a bet. With so many of the world’s biggest gambling companies holding offices in the tiny Mediterranean nation, the options for punters are next to limitless. It also means you can be assured that any firm offering sports betting or casino games to the Maltese market is secure and well regulated.